Our respect for the safety of our customers, and their customers alike, drives our relentless commitment to quality. At U.S. Aerospace, we’re committed to achieving and continually delivering the highest level of quality in everything we do – from our testing, repair and overhaul services to customer service and order fulfillment and logistics. That’s because we know everything we do is “mission critical” to our customers and their businesses. Plus, we’re driven by our overriding desire to protect the safety of our customers and the airworthiness of the aircraft in which they have invested millions of dollars and on which their businesses rely. Our commitment to continuous quality improvement has enabled us to meet and exceed customer expectations, build long-lasting relationships, and maintain a remarkably low warranty claim rate. 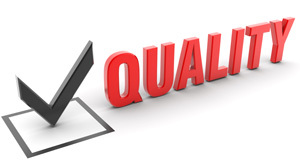 Over the past 28 years, we have developed rigorous internal quality control and inspection processes to assure the safety, reliability and performance of every part we service. We have drawn on our Founder’s 40 years of military and Fortune 500 aerospace experience to develop our own rigorous quality standards and practices measures. We also utilize the most up-to-date technical documents to ensure that all work is performed to the OEM manufacturer’s current standards and specifications. As a certified U.S. Federal Aviation Agency (FAA) 145 Repair Station, we comply with the FAA’s requirements. Our processes and procedures as well as our quality assurance systems adhere to FAA guidelines, which encompass every aspect of our operations, including facility management. Our processes also meet the European Air Safety Agency (EASA) Part-145 guidelines and standards. All parts and components are well documented and fully traceable. We are subject to and welcome regular visits and audits by the FAA’s repair station oversight team. The safety of our customers, and their customers alike, is our #1 priority. Our commitment to safety is inherent in our processes, which emphasize a high level of care and attention to detail. We also strive to create a safe working environment for our U.S. Aerospace team members, thus reinforcing our total corporate commitment to safety. Whether it is an order, a request for quote, a question about project status, or a general inquiry, our team is committed to responding promptly to all requests. We know that time means money for our customers, so we are diligent in moving repairs through our system as quickly and efficiently as possible, while maintaining our standards for quality and safety. We maintain an inventory of many key parts, which helps to shorten our response time, and we also know how to source hard-to-find parts. We understand that quality service is about the total customer experience – not just the testing, repair and overhaul of components. Each and every component is carefully received, logged and inspected prior to any work being performed. If necessary, we share our assessment with the customer and provide specific recommendations regarding the repair or replacement of the component. Once work is completed and inspected, all outbound orders are processed and shipped with care, using superior packaging and world-class carriers, who can meet your delivery requirements. Customer relationships are our lifeblood. By building long-term relationships, we become more knowledgeable of a customer’s business. That enables us to anticipate needs, reduce response and turnaround times, and add greater value. We know that communicating well and treating our customers with respect and dignity are important to building strong, lasting relationships. Our high-volume customers may arrange site visits to gain a better understanding of our practices and procedures. We recruit highly qualified and knowledgeable technical personnel, many of whom received their initial training in various branches of the U.S. military. We also provide ongoing training to help our team members stay abreast of new technologies and the changing requirements of our industry. Training also encompasses regulatory requirements and customer service. Because we are fortunate to live in one of the most beautiful states in our nation, we have a healthy respect for the environment. We take great care in the handling and disposal of all materials, hazardous or otherwise. As an example of our commitment to the environment, all of the water that we use is harvested rainwater.